Nationwide, home sales reached their highest level in nearly 11 years in November. The U.S. median home sales price rose to $248,000, up 5.8 percent year over year for the 69th straight month of annual gains. The San Jose, Vallejo, and San Francisco real estate markets continued to rank as the three hottest in the country. 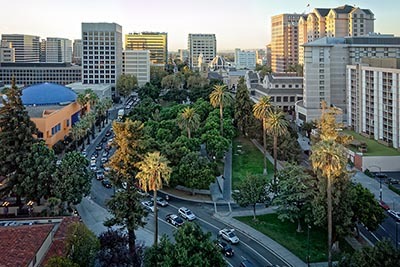 San Jose ranked as the hottest U.S. real estate market for the third straight month in November. The thriving U.S. economy pushed home sales to the highest pace in more than a decade in November, with Bay Area cities once again topping the list of the country’s hottest real estate markets. According to the latest data from the National Association of Realtors, there were 5.81 million existing U.S. single-family home, condominium, and townhome sales on a seasonally adjusted annual basis in November, up 5.6 percent year over year and the most since December 2006. The median sales price for all properties was $248,000, a yearly gain of 5.8 percent and the 69th straight month of annual increases. Buyer demand was also evidenced by declining inventory, which was down 9.7 percent from November 2016, the 30th consecutive month of year-over-year declines. The pace of sales picked up from one year earlier, with homes selling in an average of 40 days. Forty-four percent of U.S. properties found a buyer in less than a month. Here in the Bay Area, vigorous homebuyer demand continued unabated in November. In what has become a pattern, Bay Area cities took the top spots on realtor.com’s monthly list of the nation’s hottest housing markets as gauged by the fastest pace of sales and the most views on its website. The San Jose metropolitan area continued its run as the nation’s most in-demand housing market in November, with homes selling in an average of 33 days, 18 percent faster than last November, and listings down by 44 percent on an annual basis. San Jose’s median sales price was $1,124,000, up 25 percent year over year. In No. 2 Vallejo, homes sold in an average of 39 days, 21 percent quicker year over year, while the median sales price rose 4 percent to $437,000. The area saw listings increase by 12 percent on an annual basis. San Francisco ranked No. 3, with the $899,000 median sales price up 9 percent from one year earlier. Homes found a buyer in an average of 37 days, 12 percent faster year over year, with 18 percent fewer homes on the market than last November.